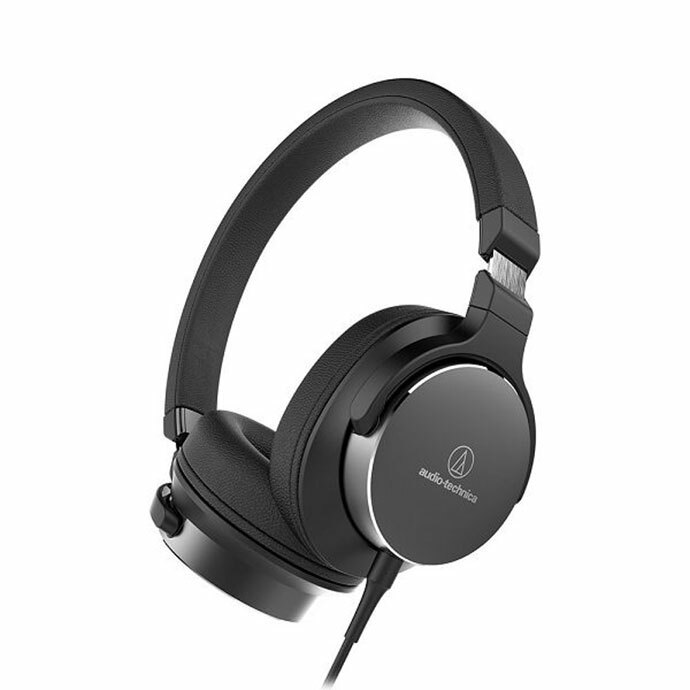 For users who aim at high-quality audio headphones, this Audio Technica model is a great fit. In support of the portability of these headphones the most extremely compact dimensions, small mass (185 grams), and excellent time of autonomy go most. The built-in rechargeable battery lasts more than 30 hours, meaning that only the most frustrated mobile listeners will need to connect the Micro-USB cable more often than once a week. The headphone cushions can be rotated 90 ° after which the headphones are even easier to insert into the backpack or pocket of the jacket, or simply hang around the neck. We talking about closed on-ear headphone, which stick directly to the ears. If you wear glasses multi-hour use may be uncomfortable, despite the soft foam cushions. The good news is that the metal rim sometimes weakens its initial compression so it is worth wringing that potential initial lack of comfort. Of course, there is also an option to stretch them to the end position which will automatically reduce the press on your head. For sound quality we have only a superlatives. The bass hits precisely and strong without any pronounced slander and blurring of the tones or spilling into the middle of the spectrum. The middle tones are also well represented and we would just call the high tones a little bit overwhelmed, which can be a bit tedious when listening very loudly. The width of the stage is not special – nothing strange, given the fact that those are closed headphones. In the acoustic sense they are one of the best headphones on the test. On the right side there is a tiny switch to turn the headset on and off, and the one on the left has multiple functions. Used to pause and switch songs, adjust the volume, and answer calls (makes sense when using a cable with a microphone). Codec aptX is supported and paired with eight devices via Bluetooth, although when you switch to the second device you must disconnect the first. Sound quality in wireless (and even more wired) mode, battery life, hands-free control on the left handset, small mass, convincing design. They may be uncomfortable for users wearing glasses or having overhead large head, the microphone is only available on wire. The only problem with these great headphones is that you can buy two pairs of Audio Technica ATH-SR5BT models for their price and they are not twice as good. On the other hand, you definitely will not regret anything because the visible and audible benefits in absolutely every aspect still exist. First and foremost, the quality of finishing is even more luxurious – the main word is aluminum and leather – and comfort when wearing for one or two levels higher. The latter should be thankful for the extremely soft materials on the inside of the rim and on the ears itself. In addition, the headphone cushions have no edges that presses to the edges of the ears, but are flat, so the “load” is evenly distributed throughout the ear. It makes P5 Wireless one of the most comfortable closed on-ear headphones that exist. Second, and more importantly, P5 Wireless is more fun to listen to than the Audio Technica model. The sound is generally richer with even deeper and bumpy bass and live dynamics. 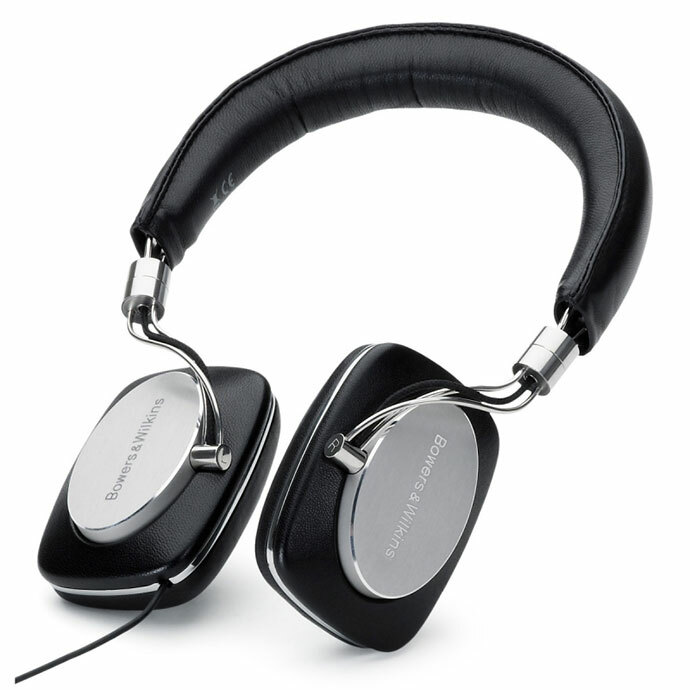 While Audio Technica is aiming for precision, Bowers & Wilkins obviously wants you to tap your foot and shake your head – and it’s achieved with these headphones. The keys are also of the best quality, in this case, placed on the right ear. Upper and lower adjust the volume of the sound, and the middle is assigned to a greater number of functions. If we press it once, we start and pause the song. Double press move us to the next song and triple to the previous one. The same key is used to answer phone calls. To use a microphone, we do not have to plug a wire because a couple of microphones are integrated into the headset itself. The aspect in which the P5 Wireless is worse than the Audio Technica model is the time of autonomy. The built-in battery is sufficient for fifteen hours of wireless music playback and then it must be charged using a standard micro USB cable or remove a right ear cushion fixed with a strong magnet and plug in the supplied audio cable. Wireless connectivity is realized via Bluetooth 4.1, and support for aptX codec in this price class implies. It is possible to pair up to eight different devices at the same time. 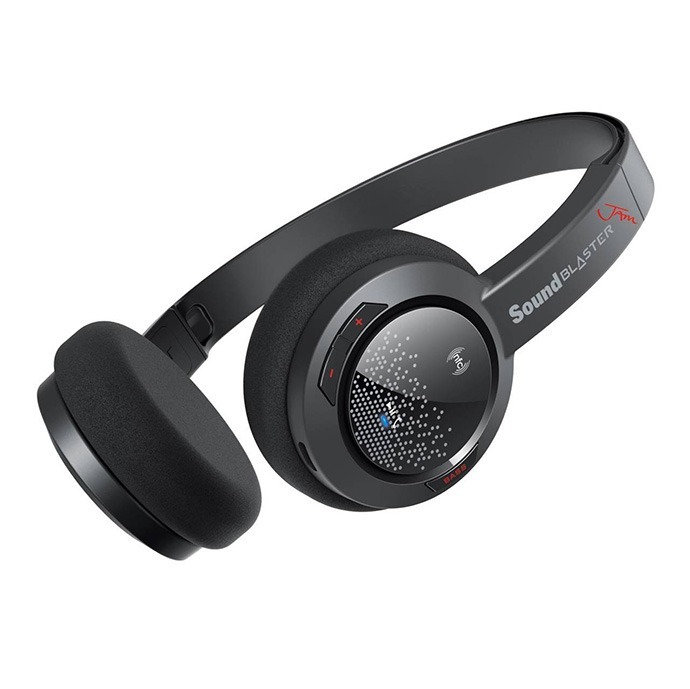 Sound quality, music management keys, function as a wireless headset, excellent design and comfort. Low price of this headphones did not allow us to be particularly pleased to put these headphones on the ears. The completely plastic construction of all the elements, from the rims to the head shells increased our fears, but when we finally paired it with the cell phone and released the test playlist at Spotify – happiness and joy! Sound Blaster JAM sounds above any expectation for this price class with finely balanced medium and high tones, enough detail in more complex songs and carefully controlled bass. If you like the lower part of the spectrum to hit you more energetically, press the Bass button on your right ear – the songs will sound lively and entertaining (though not necessarily more precise) at the same moment. The loudness of the headset is sufficient to kill the sounds in public transport and we are very pleased to hear no sound distortion when listening to the sound. The volume is controlled by the keys on the right side and pressing the center section will pause the song or make a call. The microphone is integrated into the headphones. Apart from the inconclusive design we are surprised by the lack of a 3.5mm jack. It means this headphones can not be used when the battery is empty which will happen after ten hours of loud listening. If someone cares – NFC is supported so Bluetooth pairing with the cell phone can be accelerated further(of course, with the premise that it also supports NFC). This is the best sound quality you will get from the wireless headphones in this price range. Sound quality, microphone integrated in the handset, price, comfort. Extremely plastic construction, no 3.5 mm connector for wire connection (can not work without battery). We tried to cover every price aspect in this article so you can find a headphones that will fit best with your budget and your needs. We like the price/quality ratio in Audio Technica ATH-SR5 so that is our choice from this offer.